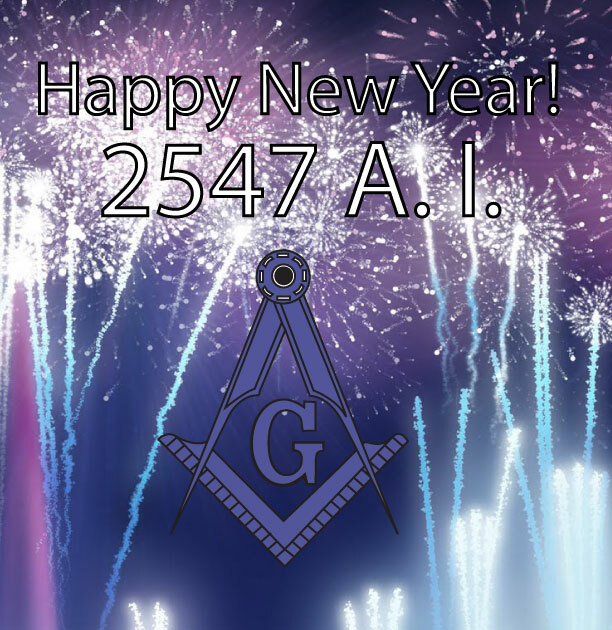 Today in Masonic History - Happy 2547 A.I.! Happy New Year 2547 A.I.! Today in Masonic History it is 2547 Anno Inventionis (A.I.)! The year is 2547 Anno Inventionis, or In the Year of the Discovery. Most people are familiar with Anno Lucis, or the year of light which is associated with Blue Lodge Freemasonry. Some might not be so familiar with Anno Inventionis. This refers to the building of the second Temple, that is believed to have been built by Zerubbabel during the reign of Darius, King of Persia. Although there is little detail written about Zerubbabel, it is believed that he, along with other Israelites were held in captivity in Persia for many years. Darius allowed Zerubbabel to return to Jerusalem to rebuild the temple after many years in captivity. When Zerubbabel arrived at the site of first Temple (Solomon's Temple) they began excavating and are believed to have discovered various artifacts associated with the first Temple. Anno Inventionis is used largely by Royal Arch Masons. Just as Blue Lodge and Royal Arch Masons have unique dates that they use, so does Scottish Rite (Anno Mundi) which adds 3760 to the current year and Anno Ordinis for the Knights Templar which subtracts 1118 from the year to signify the founding of the Templar Order. Regardless of how you count the year, the new year in most cultures is seen as a time of renewal, a fresh start to make the World, or at least your own corner of it that much better. No matter what number you choose to associate with this year, make it a happy, healthy and prosperous New Year!